Will Hydroponics Ever Become Organic Certified? Will Hydroponic Crops Ever Become Organic Certified? Takeaway: Consumers want it, the USDA currently allows it, but several organizations are fighting it. Kathleen Marshall explains why certified organic hydroponically grown foods are under scrutiny, and what changes may come from the hotly contested battle. Around the world, most countries require that organic crops must be grown in soil. This includes the European Union, Australia, Canada, Mexico, and Japan. Because other countries do not allow hydroponically grown produce to be sold as organic, those products are shipped to the US so they can use the coveted organic label. In the US, hydroponically grown lettuce and tomatoes from Mexico have been allowed to carry the organic label despite the 2010 recommendations of the National Organic Standards Board (NOSB) to the contrary. Spurred by a lawsuit filed by the Cornucopia Institute alleging that the USDA was illegally allowing organic labeling on hydroponically grown foods, the NOSB revisited the topic last November in St. Louis, MO. 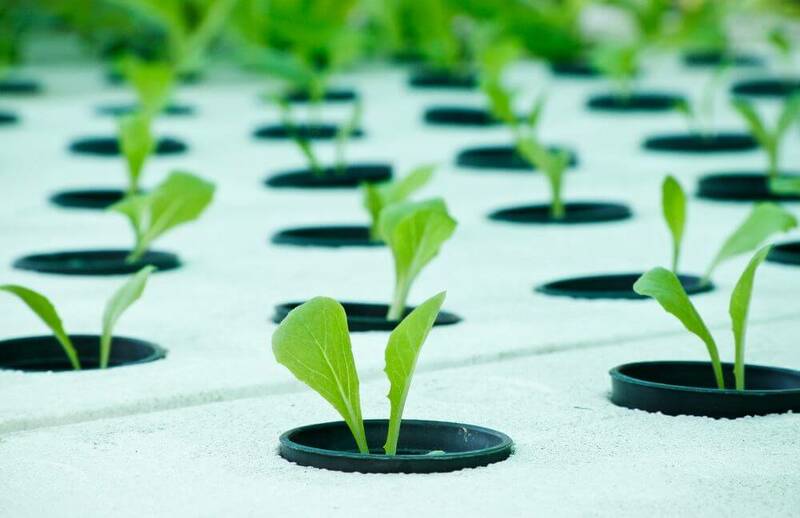 More specifically, the NOSB discussed a proposal to allow bioponics (hydroponics, aeroponics, and aquaponics) to be considered for organic certification. While the board did concede to send the issue to its crops subcommittee to more clearly define these growing systems and consider them each individually, they also restated their 2010 recommendation to prohibit growing systems that use entirely water-based substrates. Still, they encouraged the board to take a wider perspective as they considered innovations in agriculture that may also be compatible with organic principles. They also reaffirmed that most members didn’t feel that entirely water-based substrate hydroponic systems qualified as organic. Interestingly, consumers don’t agree. According to a 2016 survey conducted by The Coalition for Sustainable Organics, more than 91 per cent of consumers agree with the current USDA policy allowing hydroponically grown food to be certified organic. Those who are opposed state that organic is more than just natural fertilizers and approved pesticides. It’s about balanced ecosystems and caring for the soil beyond the production of food. Organic pioneers have always spoken of soil building as the basis of organic gardening, but this was before there were alternatives. When organic gardening became the gold standard, soil was the only practical way to grow crops and feed the world. Even so, people still go hungry and organic food is out of reach for many. Now, other options can make organic food more accessible and may even feed more people. The Coalition for Sustainable Organics is taking a similar stance. They feel that everyone should have access to organically grown food and if hydroponics is banned, obtaining organics will be more difficult for many people. In fact, the ban would be even more far-reaching because it would also ban the way almost all seedlings and nursery stock are produced. Hydroponic growing is also beneficial for the environment and more sustainable—something that should be a major consideration for those favoring organic growing methods. A 2015 study published by the International Journal of Environmental Research and Public Health showed that hydroponic systems showed a water saving of more than 90 per cent over soil-produced growing systems. Hydroponics also requires less land and causes less soil erosion. So, hydroponics really is beneficial for the soil, contrary to common misconceptions. Growing more crops in less time using less space hold another appeal: affordability. Consumers want easier access to organic foods and that includes lower prices. According to the survey from the Coalition for Sustainable Organics, 89 per cent of consumers stated that the organic industry should focus on improved affordability. Really, money may be what the whole issue boils down to. Traditional organic growers can charge a premium for organic produce. If hydroponic growers help fill the ever-growing demand, prices will have to come down. "So, hydroponics really is beneficial for the soil, contrary to common misconceptions." But it could also be said that traditional organic farmers just want prevent competition so they can continue to charge higher prices. This has to make you wonder, is it really about protecting the earth or is it about protecting the cash cow? While a final decision by the NOSB was originally expected to occur this April at their spring 2017 meeting in Denver, CO, it was once again delayed to allow for even further intake of information. No further deadline has been set at the time of this writing and for now, hydroponically grown organics are still considered legal in the US.